result-- baby corn. 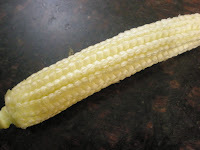 Frankly speaking the taste was not all that great, but then I have never cared much for baby corn, preferring the mature corn or 'bhutta' as we call it- roasted over hot coals and seasoned with butter and lemon.... ahhh heaven! Butterfly pea new plant- this is the only plant that I have noticed to have two types of false leaves before the actual three-lobed leaves typical of pea family emerge. Is this true of all peas?- I must check..
'Brahmakamal"/ night blooming Cereus Epiphyllum oxypetalum (Fam. Cactaceae) flowered last week. I had posted about it last year here. 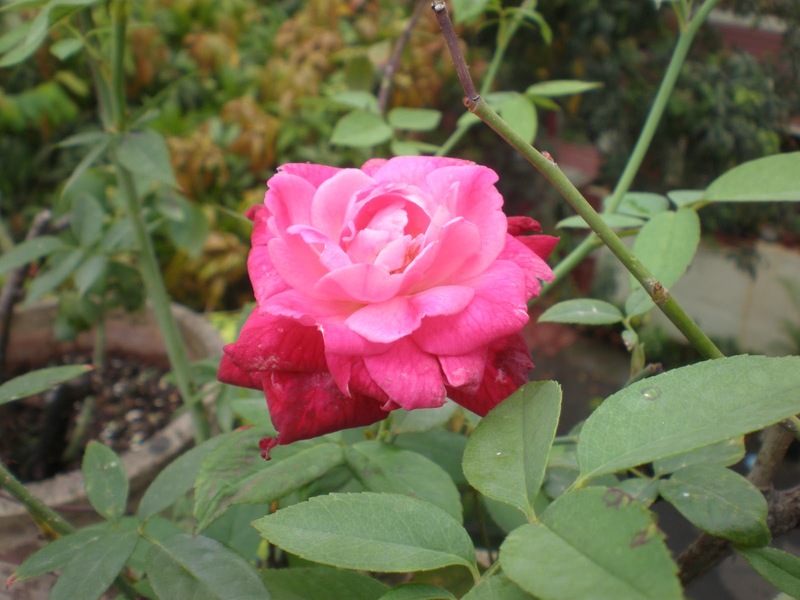 This flower has been blooming regularly each year for quite some years now. It is in the same pot, I often neglect to water it, certainly I never fertilize regularly, but come the monsoons, it sends out 2-5 buds out of which at least two bloom. Maybe if I take better care of it, I might get more blooms- staggered over a few nights. The smell of more than two flowers is overpowering at times. also called Touch-Me-Not, probably due to the ripe pods bursting when touched. It is very common in my garden during the monsoons, they keep self-seeding and I have to remove them from my pots. 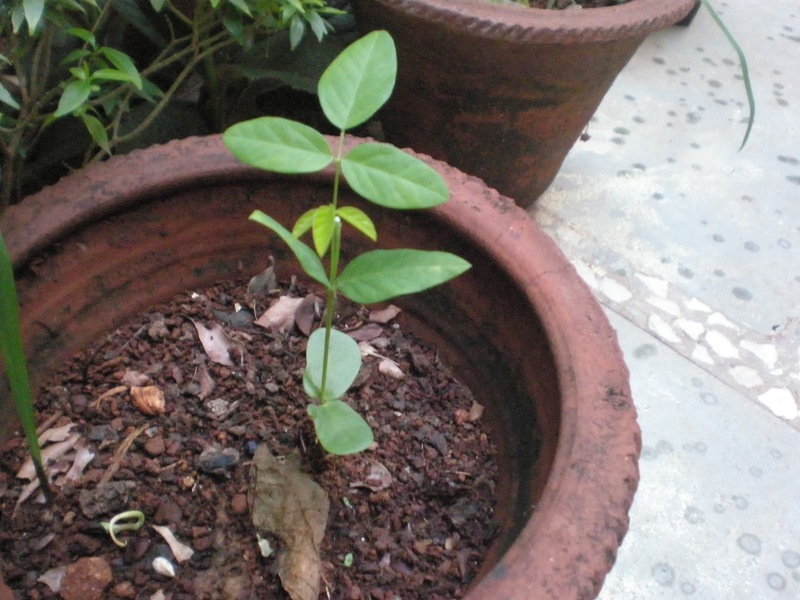 I must have missed this pot, had planted Indian spinach but the balsam dominated. This is an unknown flower, the latest to join my garden. 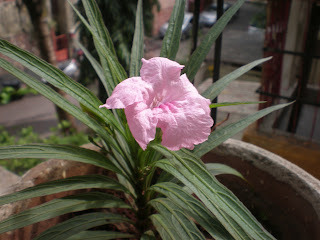 A bit of googling gave me this name- Ruellia brittoniana ( Fam. Acanthaceae). It is also called as Desert Petunia or Mexican Petunia, but has no relation with the common garden petunia. 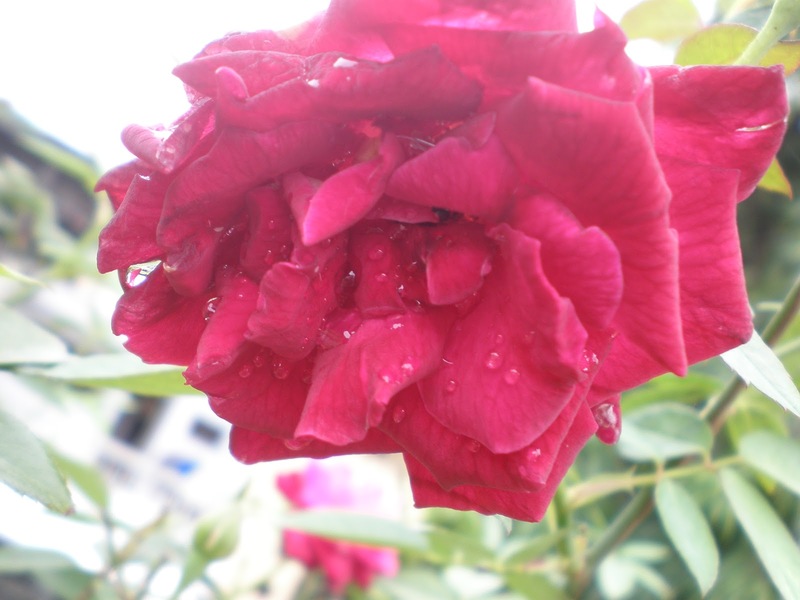 The flower is a wow! 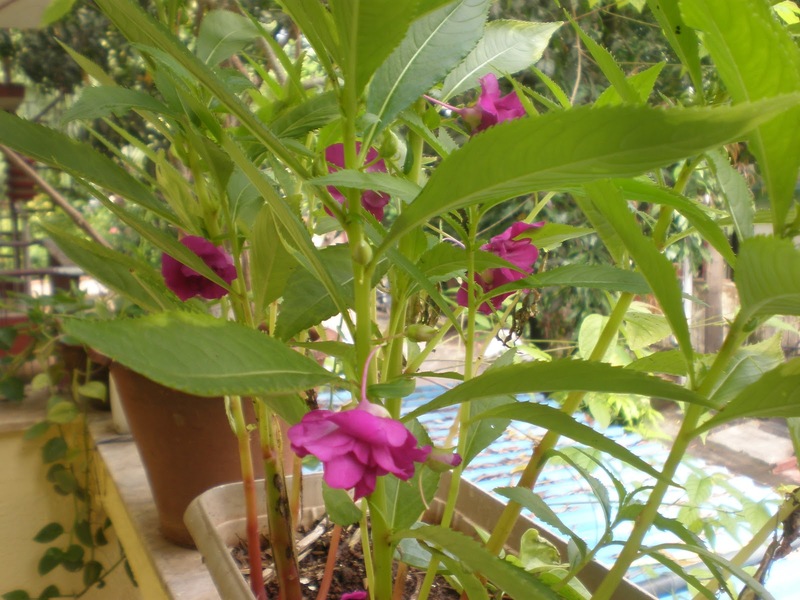 This is groundnut/ peanut; I just threw in a few nuts as a lark in my vermicomposting bin, and there-- the flowers came in no time. 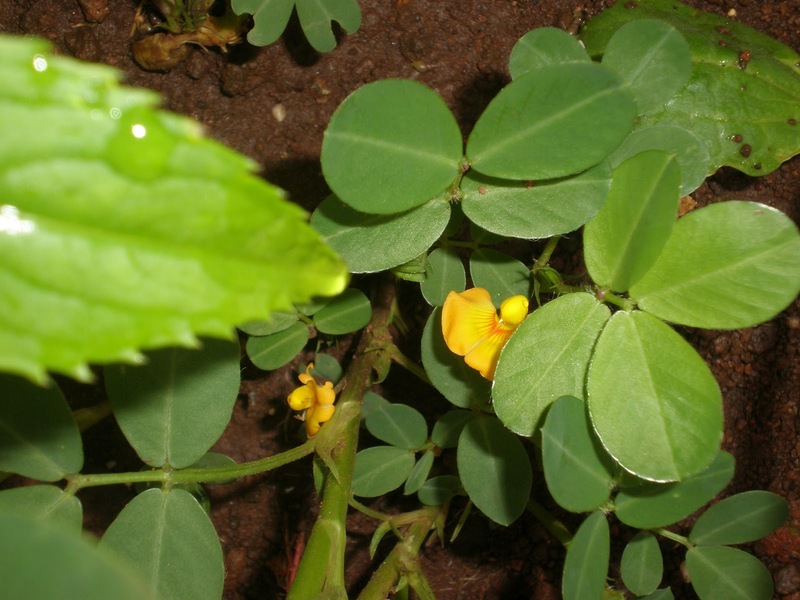 An interesting fact about groundnut, botanical name Arachis hypogaea (Fam. Fabaceae legume family). This was an extremely long post, I hope you enjoyed it, as I enjoyed writing it. 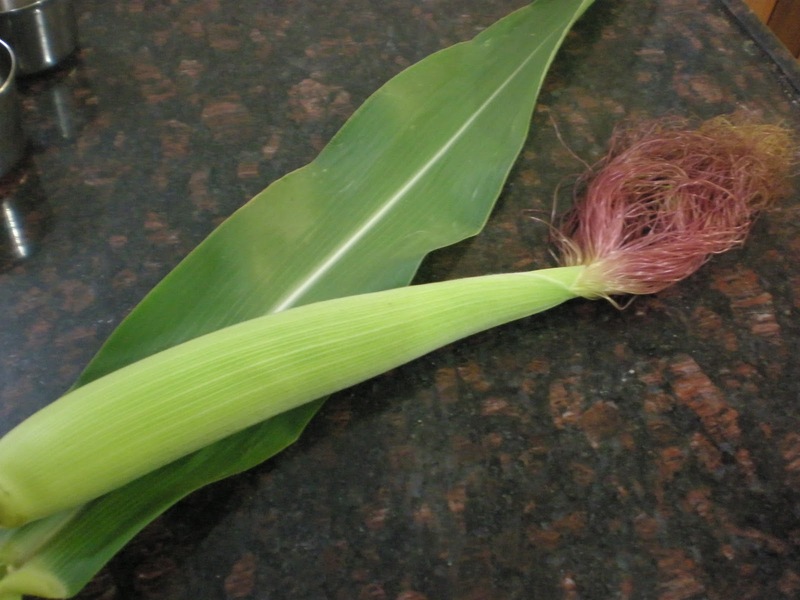 Corn swaying in the breeze is so pleasing to see. The tufts are like velvets against our skin! I don't think that I will get any groundnuts from this plant; snails are eating off the flowers. I have not yet figured out how to avoid getting these tiny slimy creatures in my garden; tried salt water and even neem spray, rain washes it all off. What an incredible white bloom. Reminds me of orchids, the more I forget about them the better they do! 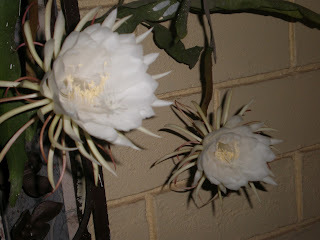 yes,the white brahmakamal is unique flower.